Nigeria is to lose about 226,300,000 million barrels of oil production in 2019, representing about 27 per cent of its current year’s target. 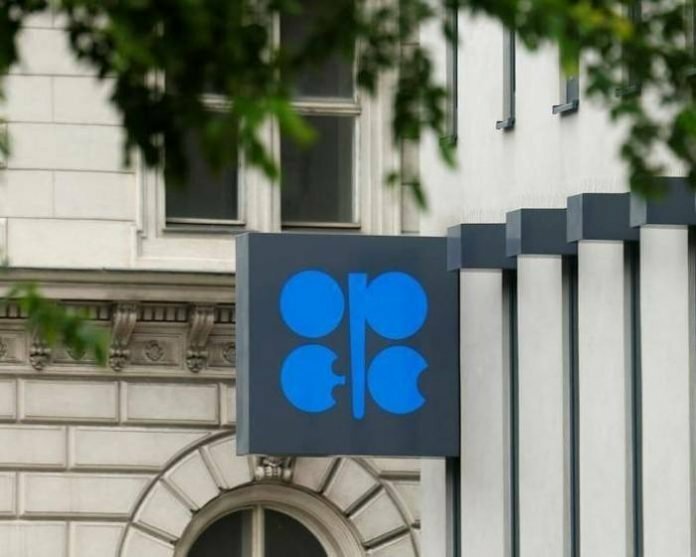 The loss is sequel to the Organisation of Petroleum Exporting Countries (OPEC) decision to cut the country’s production quota from January 1, 2019. According to an arrangement by the oil cartel, OPEC members will reduce production by 800,000 barrels per day (bpd), while non-OPEC producing countries will cut production by 400,000bpd to bring total oil cuts to 1.2 million bpd. The move to cut Nigeria’s crude oil production to 1.68 million bpd for the first half of 2019 was part of efforts by the cartel to stabilise and firm crude oil prices at the international market. Nigeria with a daily production quota of 2.3 million (though never attained) had its production quota slashed to 1.68 million by the cartel last December. The cut represents about 620,000 barrels per day, which, when multiplied by 365 days, and translates to about 226,300,000 million for 2019. President Muhamadu Buhari, had in the 2019 Appropriation Bill submitted to a joint session of the National Assembly proposed a 2.3 million daily oil production at a benchmark price of $60. However, energy and economic experts have described as unrealistic the proposed oil and production benchmarks contained the 2019 budget. But according to the Minister of State for Petroleum Resources, Mr. Ibe Kachikwu, on December 7, 2018, ahead of the OPEC meeting in Vienna, Austria, it would be very difficult for Nigeria to reduce its crude oil production. Reacting to the comments by Kachikwu, Partner, Bloomfield Law Practice, Mr. Ayodele Oni, in a telephone interview with newsmen, said Nigeria being a signatory to OPEC Convention is bound to abide by the decision. ‘‘Any attempt to go against the decision would not augur well for the country and could lead to more severe sanctions. Nigeria has enjoyed exemptions in the past. So this is the time to be in solidarity with the cartel,’’ he said. Meanwhile, oil prices edged higher on Monday, the last day of 2018, but were en route for their first annual drop in three years as fears of a slowing global economy and emerging supply glut outweighed impending OPEC-led production cuts. Brent crude, the international benchmark for crude oil prices, were up 21 cents at $53.42 a barrel by 1:28pm EST, while US West Texas Intermediate (WTI) crude futures were 10 cents higher at $45.43 a barrel. Both oil benchmarks were down more than a third this quarter, the steepest decline since the fourth quarter of 2014. In 2018, WTI has lost more than 25 per cent, while Brent was down by more than 21 per cent. The year began with optimism that a year’s long glut was tamed, pushing Brent to more than $86 a barrel in October, and ended with sharp drop on worries that soaring output would overwhelm 2019 demand. A tweet by US President, Donald Trump, claiming progress on a possible US-China trade deal pushed crude prices up more than 2 per cent in early trading on Monday. But oil lost ground and edged lower as traders focused on data showing China’s economy slowed further in December, analysts said. Chinese manufacturing activity declined in December for the first time in more than two years, with the Purchasing Manager’s Index (PMI) falling to 49.4, a sign of contraction, a National Bureau of Statistics (NBS) survey showed. Analysts also were bearish on 2019, according to a Reuters poll. A survey of 32 economists and analysts forecast an average Brent price of $69.13 next year, compared with $71.76 in 2018. The global benchmark rose by almost a third between January and October, to a high of $86.74. That was the highest level since late 2014, the start of a deep market slump amid bulging global oversupply.